Arrrr! 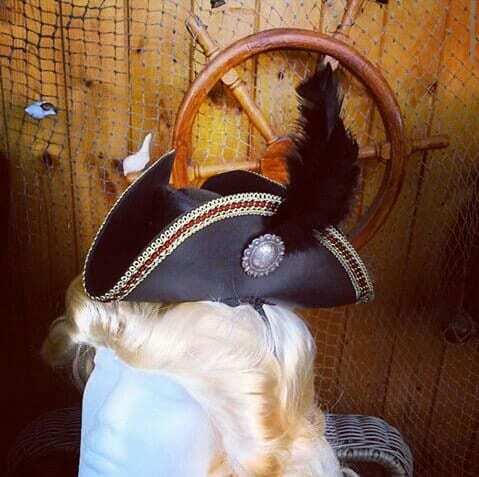 This mini leather tricorn fascinator will make you feel like you are on the high seas! 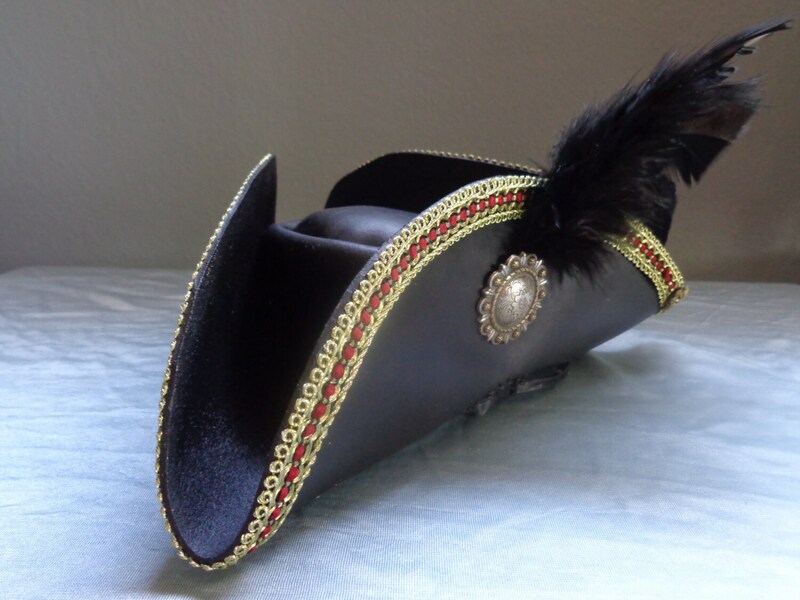 This mini black leather tricorn style hat has gold/red/black laced edging, silver and gold concho , an ostrich feather, and black silk lining on inside. These hats are made to order and are one size fits all. Use attached plastic head band or tie a ribbon to hold on your head. Choose color of feather.